Passengers in inside staterooms aboard Navigator of the Seas cruising from Galveston, Texas, have something new to crow about – virtual balcony views courtesy of high-tech wizardry. Streaming ocean video makes it possible for those in 81 cheaper cabins to pretend they have fancier accommodations than they paid for. The virtual concept was first introduced by Disney Cruise Line aboard Disney Dream and Disney Fantasy. On Navigator of the Seas, passengers embarking from the Lone Star state can view the sea via a wall-sized “balcony,” with an 80-inch HD screen projecting real-time images of the sea via cameras on the ship’s bow and stern. There are even piped in sea sounds. (For more on the technology involved, check out this Wired article. 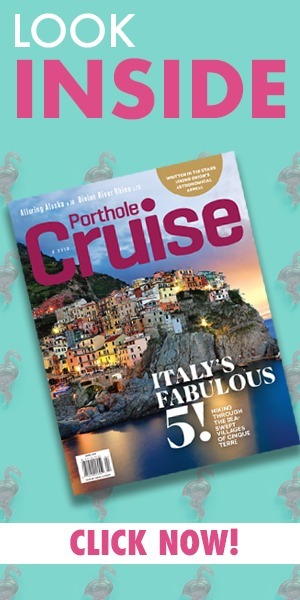 )Both ships feature deluxe inside cabins that come with Magical Portholes, which provide real-time ocean views thanks to a video monitor and HD cameras around the ship. Additionally, Disney animated characters also occasionally pop into view. The ship, which debuted in 2002, also gained a FlowRider surf simulator, a 220-foot outdoor movie screen, some Oasis-class restaurants, and a new bar called R Bar, with a retro, 1960s vibe.Other features added to Navigator of the Seas during the refurb include a brand-new dining venue, Sabor, serving modern Mexican cuisine – for a $25 pp cover charge. 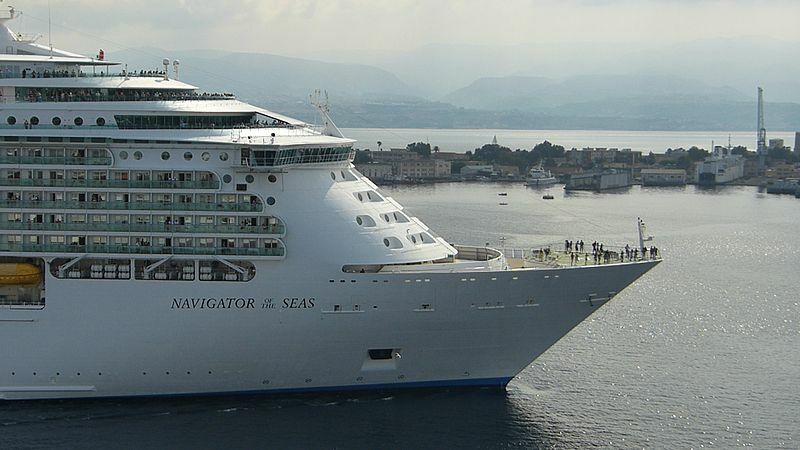 Navigator of the Seas is the largest ship to homeport in Galveston year-round.